We manufacture our narrow bandsaw blades from industrial quality material which is unsuitable for blade lengths of less than 82"/2 metres. 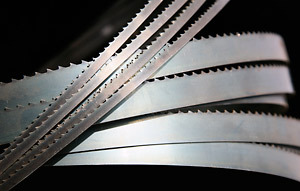 All narrow bandsaws are manufactured to order and, although we always endeavour to despatch as quickly as possible, we may not be able to despatch on the same day. Please ensure that you have ordered the correct blade dimensions, as incorrectly ordered blades cannot be cancelled after the order is confirmed, and will be subject to a 25% re-stocking charge if returned. We offer the following quantity discounts. Enter the quantity you require and the total will be calculated automatically. Using the boxes provided, enter the quantity and the exact length you require. Finally, select the correct price band from the 'length in feet' drop-down menu (please make sure your choice is correct so that the value is calculated accurately). 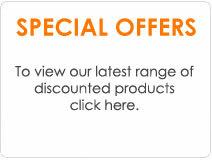 When you add the items to your basket, the discount will be calculated automatically. Our minimum order quantity is 3 per size. If you require less than 3, please contact us. Please click here to reference our popular machine size chart.